A large animal with a long tail, Tenontosaurus resembled Iguanodon, which it may be related to. It was a plant-eater that moved on its back legs, but dropped to all-fours when feeding. About 110 imuoN years ago, the states of Utah and Colorado were a forested floodplain dotted with pools and crossed by rivers. There were wet and dry seasons, and after heavy rain the rivers would swell and burst their banks, spilling water filled with muddy sediment across low-lying ground. 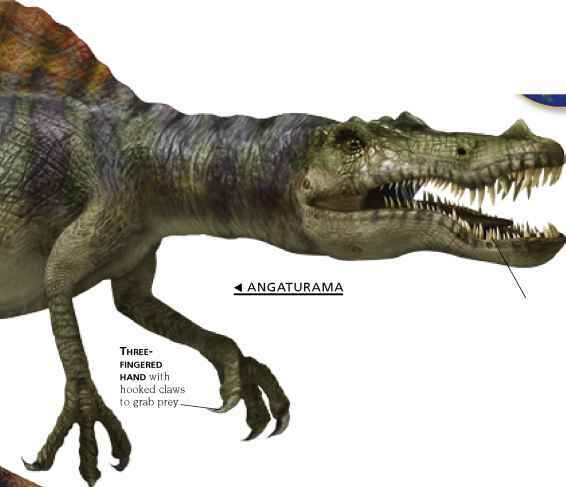 Many species of dinosaur lived on the plain, including the carnivore Utahraptor, and Gastonia, an armored dinosaur. Fish, turtles, and crocodiles swam in the rivers and pools. The area's ancient life forms were first recognized in the 1940s, since when the Cedar Mountain Formation has become a major location for the study of Early Cretaceous dinosaurs in North America.